About Us | Manhattan Scientifics Inc. Since its inception Manhattan Scientifics, Inc. has been a technology developer that nurtures financially promising technologies with potential global commercial applications. Manhattan Scientifics has enjoyed a "Special informal relationship" and a lengthy successful history in tech-transfer from the Los Alamos National Laboratory (LANL) and the Sandia National Laboratory (SNL). Manhattan Scientifics, Inc. (OTCQB: MHTX), is focused on commercialization of technologies in the nano- medicine space. The company works among the brilliant minds and groundbreaking ideas in the fertile ground of New Mexico – home to two national laboratories, and one of the nation’s highest concentrations of PhD scientists. 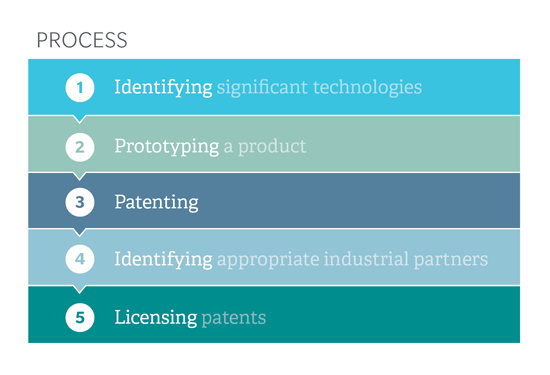 These technologies are scientifically advanced, but are rarely ready for commercialization. We have expertise in licensing from the national laboratories and in working with individual inventors. We build intellectual property portfolios and business cases supporting new technologies, and shepherd them to relationships with industrial partners who are well-prepared to launch product. The result is a win for everyone – the lab and inventor see the technology enter the market, the industrial partner gets a solid foundation for a new product, and we profit from building the licensing bridge to industry. We are currently focused on two opportunities: a nanostructured metals technology, and a nanoparticle-based technology that provides highly sensitive cancer detection. The nanostructured metals technology has been revenue producing for several years. The cancer detection technology can detect cancer years earlier, and is still pre-revenue.